Did you know that Vitamin D deficiency is the most common nutritional deficiency? Most people know that vitamin D is essential for strong bones, but you almost never hear people talking about the role in vitamin D when it gets to our teeth. It turns out that vitamin D deficiency is a strong predictor of tooth decay. Here we explain how calcium and vitamin D interact to create healthy bones and teeth, what studies tell us about how vitamin D affects teeth, and the controversial question of how best to absorb vitamin D.
What’s the Relationship Between Calcium and Vitamin D? Most people understand that calcium is essential to the development of bones, including teeth. So why worry about vitamin D? In a nutshell, it goes like this: you can’t absorb calcium without the presence of vitamin D. Vitamin D initiates the development of calcitriol, a hormone which controls and regulates calcium levels in the body. Calcitriol also enables the absorption of calcium from the intestines. Without vitamin D, this vital hormone won´t be produced, such that any calcium you do ingest will be unusable by your body. 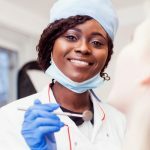 A study carried out at the Tufts University Nutrition Research Center established the positive relationship between calcium/vitamin D intake and tooth retention. To explore the relationship of supplementation on tooth retention, researchers studied 145 older adults over 3 years. 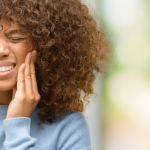 Participants took either a placebo or a supplement containing 500 mg calcium and 700 IU vitamin D. During and after the study, participants’ teeth were checked. Halfway through the study and at the end of the study, they were asked about tooth loss. After controlling for other factors, it was found that participants taking the supplement decreased their probability for losing one or more teeth by 40%, even two years after the trial! Time to Absorb Some Vitamin D! Until modern times, human beings spent most of their time outdoors. 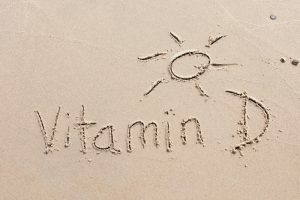 As a subtropical species, we naturally absorbed enough sun to produce vitamin D. When human beings migrated to less temperate climates, and with a giant move indoors during the industrial revolution, that meant less time in the sun and thus lower exposure to this powerful vitamin-generator! Even when we sit in an office by a window, the glass blocks the UVB rays necessary for vitamin D absorption. When we use sunblock with SPF 8, these rays are blocked 95%! Unfortunately, it’s a catch-22: people who apply sunscreen block the harmful rays that cause skin cancer, but also block the body’s production of vitamin D. Thus, people who use sunscreen are more likely to be vitamin D deficient. We recommend spending about 10-20 minutes outside in the sun each day without sunscreen, but applying your sunblock the rest of the time. Experts estimate that 10 minutes in full sun (noon) in shorts and a tank top is enough to generate 10,000 units of vitamin D. Based on that figure, you can judge in your particular circumstances! (Summer/winter, how far from the equator you live, time of day). You can also take vitamin D supplements, which we especially recommend during the winter months when most people living far north of the equator have a vitamin D deficiency. 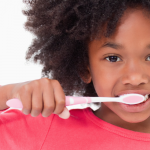 Penn Dental Medicine is a comprehensive dental care clinic dedicated to ensuring patients’ optimal oral health. 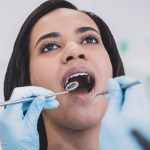 To get an appointment with one of our caring dental professionals, call us today at 215-898-8965.